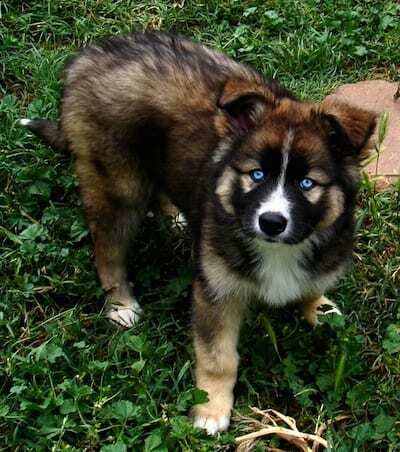 A Gerberian Shepsky is a cross between a Siberian Husky and a German Shepherd. This dog’s breed characteristics involve both their personality and their physical makeup. 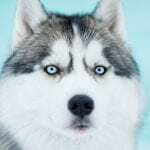 In general, the breed characteristics of this dog can be said to be a mix of the characteristics of German Shepherds and a mix of the characteristics of Siberian Huskies. 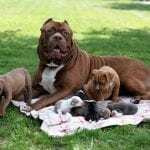 However, depending on the particular dog and their parentage, the characteristics of one breed or the other will usually be dominant. Let’s take a look at their physical characteristics first. Physically, Gerberian Shepskies are large dogs. They tend to be around 20 to 25 inches tall. Their weights can range relatively widely – from 45 lbs to 88 lbs. 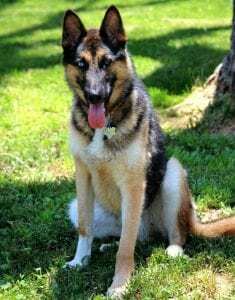 However, the weight of a Gerberian Shepsky will depend on the particular genetic makeup of the dog and factors such as their diet, age, and lifestyle. Their average life span is 13 years – however again this will depend on the individual dog and their overall wellbeing. As such, Gerberian Shepskies have somewhat shorter life spans than most dogs, though they generally stay in good health right up to old age. One of the most exciting things about Gerberian Shepskies is arguably their color. This breed of dog can come in a fantastic variety of colors. Usually, these dogs are black or a mixture of brown and black. However, their coats can be red, blue, golden, salt and pepper and cream hues to name but a few. 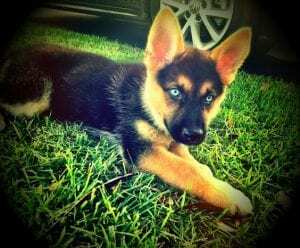 Also, Gerberian Shepskies are well known for often having two eyes of different colors which can make them a super interesting dog breed to own! Another important thing is its unique coat. Their coats are straight haired, and they have what is known as a ‘double coat’ – i.e., a dense lower (or inner) coat and a top coat which is usually pretty fluffy. The inner coat is what is used to keep the dog insulated against the cold. The length of the coat can vary depending on the individual dog – coat classifications include ‘short,’ ‘medium’ and ‘long.’ However, because of its double coat, this is not a dog breed that should be kept in a hot climate. Besides, it is essential to protect your Gerberian Shepsky from the heat when the summer months arrive. Facially, this dog’s features can evoke either those of a German Shepherd or those of a Siberian Husky depending on its particular genetic makeup. However, one thing that can be said to be a common characteristic of all Gerberian Shepskies is their pointed ears and their pointed muzzle. The Gerberian Shepsky is one of the newer breeds of dog, and it has a working background. The vulnerable was first entered into the American Kennel Club’s category of ‘herding’ dogs in 1908. In the 1930s, it was also entered into their ‘working’ category. However, people probably only began breeding this dog intentionally some 50 years later in the 1980s. Nowadays the Gerberian Shepsky Breed is officially recognized by the American Canine Hybrid Club. The Gerberian Shepsky is both a playful family dog and a good guard dog. These dogs are brilliant, obedient, hardworking and calm. Though their muscular appearance and their ability to be aggressive towards threats may cause them to appear daunting to intruders, this breed of dog is extremely gentle and calm in temperament towards their owners. To make them wonderful guard dogs. Also, as mentioned above, the Gerberian Shepsky was first used as a working dog. These dogs were used (and are still used) to pull sleds and to herd livestock. One of the things that have made them such great working dogs is their obedient temperaments and their intelligence. This has made them highly responsive to verbal commands and whistles. You can train a Gerberian Shepsky to perform a wide variety of actions at your command, which can be fun for both you and the dog! This characteristic is inherited from the German Shepherd side of their parentage. Gerberian Shepskies are curious dogs, and this is one reason why the police widely use them as search and rescue dogs. They also make lovely scout dogs due to this curious streak in their nature. This personality trait, combined with the fact that these are very muscular and active dogs, means that you will need to keep your Gerberian Shepsky well entertained with plenty of toys and long walks where they can explore the terrain. Loyalty is another critical personality trait of the Gerberian Shepsky. These dogs can be very protective to whichever human they consider to be their ‘master.’ In addition, it is important to ensure that they are loyal to all members of your household – this is easy to achieve, but if it is not done then the Gerberian Shepsky may take it upon themselves to attach themselves only to their ‘master’ and not to the master’s husband or wife or children. Once loyalty to all of the household is established, the Gerberian Shepsky is an excellent family dog. 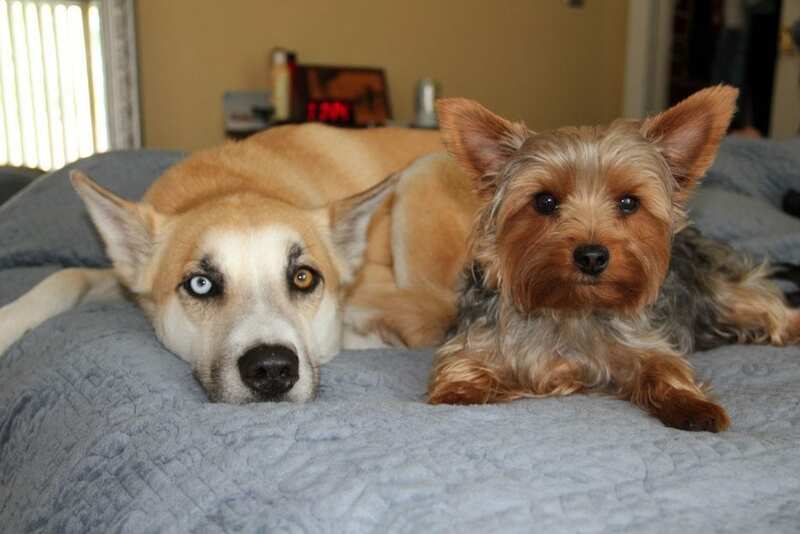 These dogs are very easy to socialize, both with humans and with other dogs. They love company! Socialize your Gerberian Shepsky by getting them used to hang out with a wide variety of humans and other dogs from an early age. Their unique temperament will mean that they are always willing to engage with new friends, though their loyalty will prevent them from being too trusting of intruders. Many people would argue that this is the perfect combination! The Gerberian Shepsky is, as a working dog breed, a generally healthy and active dog. As such, plenty of activity is all that is needed to keep these dogs healthy. However, there are several common health problems associated with this dog breed. 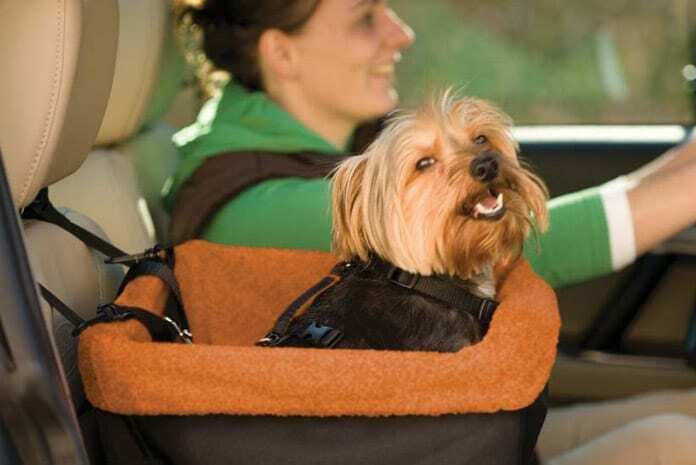 These dogs can be particularly susceptible to eye problems, hip dysplasia, and allergies. Though this is a large dog breed, they can also sometimes be susceptible to dwarfism. Also, they can be vulnerable to eczema. These issues can be treated with ease by your vet, and they are not major health concerns. The incidence of these complaints in the population of Gerberian Shepskies is pretty low, and your dog will still have a low chance of contracting eczema or eye problems. Gerberian Shepskies are also associated with some more significant health concerns. 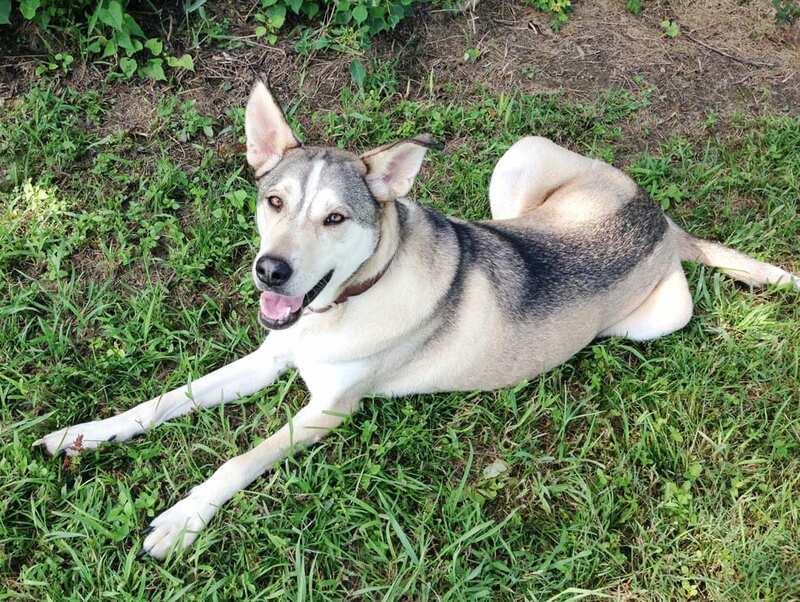 Epilepsy, cancer, blood disorders, bloat and Von Willebrand’s disease, are all issues that are associated slightly more with Gerberian Shepskies than with other breeds of dog. Your vet will be able to advise you on this. Because these are very active and vigorous dogs, they tend to have good appetites. However, sometimes it may take a little trial and error to find the brand of dog food that they like best. Once you have found it, it is a good idea to stick with it and to feed it in larger quantities than you would for a smaller and less active dog. Because the weight of dogs in this breed can vary, it is a good idea to get your dog weighed at the vet’s and then ask the vet how much food you need to give them every day, depending on their weight. Supplements may also be needed to keep your dog’s joints, eyes, and skin healthy if your vet deems them to be at risk from the complaints mentioned above – eczema, eye issues, and hip dysplasia. However, these supplements are very easy to administer and can even come in tasty meat flavored forms that your dog may well enjoy! 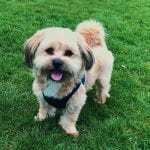 Because you are likely to be playing with your dog a lot, you may well want to invest in some dog treats. Again, German Shepskies can be somewhat picky about their dog treats. So, you may need to engage in a little trial and error with these in order to find a type of dog treat that appeals to your German Shepsky. These dogs are real individuals, and what works for one individual may not work for another. But that is all part of the fun of owning a dog with such a big personality! Though these dogs have double coats, they only shed moderately compared to other dog breeds. You will not need to vacuum your house much more with this dog than you would if you didn’t have a dog! However, it is important to brush both coats thoroughly at least twice a week to ensure that dead fur does not accumulate in their coats. And, bathing them at least once a fortnight with a canine shampoo is a very good idea. As mentioned above, this is a dog breed that can sometimes suffer from eczema, so you can always grab a medicated shampoo from the pet store or your vet if necessary and this will clear this up for them. If the dog’s coats are not looked after, then they can become quite unruly. You can always ask a professional dog groomer to care for your German Shepsky’s coat if you want to keep it extra neat. If the dog’s ear hair starts to get longer, it is important to trim it so that you preserve the classic pointed shape and style of these ears. Because these are very active dogs, you will not usually need to trim their nails. Their nails will get worn down as they walk and run about. As the dog gets older, they may become less active, and you may need to keep an eye on their nails to see if they need a little more trimming. Another aspect of dog grooming that needs to be attended to with the German Shepsky involves their ears. German Shepskies’ distinctively shaped ears tend to accumulate more wax than the ears of other dogs does. As a result, you will need to invest in some ear cleaning implements for your dog. Your vet can demonstrate for you how to do this, and again if you find it difficult, you can always ask for a professional to do it for you. This is an exceptional and highly individualistic breed of dog. The unique characteristics of the German Shepsky include their build, their personality and the additional care that they need. One particular characteristic touched on above, is their double coat which can come in a fantastic variety of different colors. Grooming this coat well to keep it in top condition will ensure that your dog looks stunning. 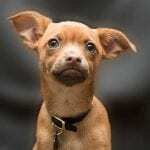 Their distinctive pointed ears and muzzles give these dogs a truly characterful look. Another special characteristic of the German Shepsky is its calm and loyal temperament and its curiosity and intelligence. These qualities make it both a great working dog and a brilliant companion dog for families who are seeking a dog who will be a real friend to them. If you are looking for a dog that you can play with a lot, then the German Shepsky is a brilliant breed to choose. 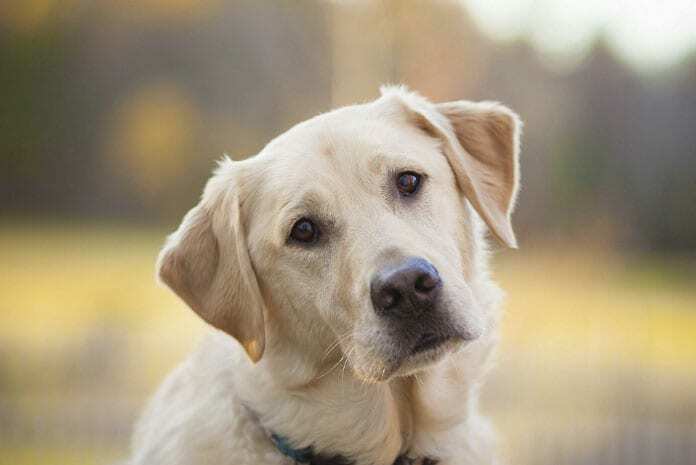 Finally, as mentioned above, this breed can be susceptible to some specific health complaints which may mean that your dog requires extra help for their joints, their eyes, or their skin. Giving your dog a quick check-up at the vet’s will usually ensure that you know all that you need to do to care for their unique health needs. In sum, the German Shepsky is a breed of dog that is very individualized. 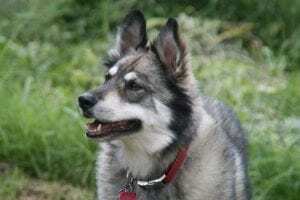 This is because this is a hybrid dog breed, and each individual dog will inherit some of their traits from their German Shepherd parent and some traits from their Siberian Husky parent. These traits include both physical and psychological traits. As a result, depending on which parent’s genes are dominant in the German Shepsky, their personality and physical build will be different. That is what makes these real dogs individuals. So, a key piece of advice is to take some time getting to know your new German Shepsky and finding out what their character is like. That way, you can ensure that they have the best possible life for you!